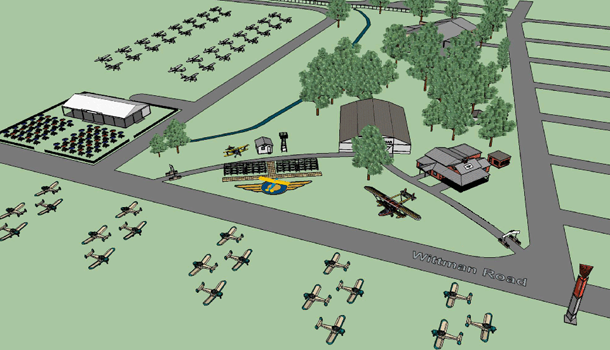 The Vintage Aircraft Association has commenced a major expansion of its Vintage Plaza and Red Barn headquarters complex for this year’s fly-in. 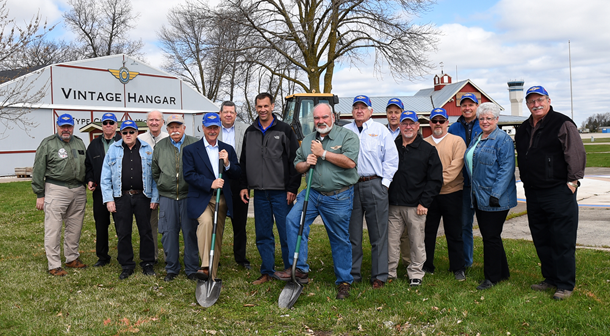 Our expansion has been made possible through a generous gift from longtime VAA member Myrt Strong Rose of South Barrington, Illinois, who committed support to create a new plaza in the Vintage area in honor of her late husband Bill. EAA Vice President Rick Larsen and EAA Director of Facilities Steve Taylor. This major highlight is the expansion of the Vintage Interview Circle. 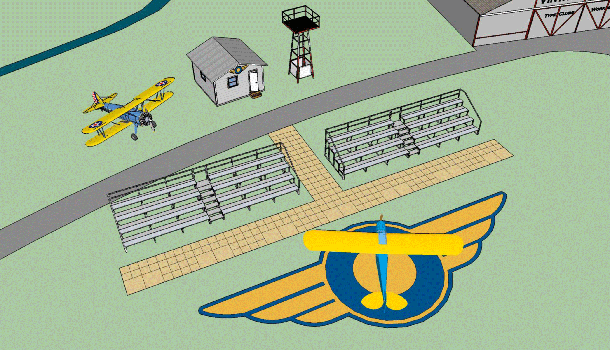 The project, developed by VAA in association with Steve Taylor, EAA’s director of facilities, includes a larger display area and new seating areas. Vintage showplane registration has already moved south to a more central location, and the restaurant formerly located in Vintage Plaza is moving to the former showplane registration area. Read more from the full press release here. Our Facebook page has now grown to nearly 15,000 likes and continues to grow daily, but we need your help to continue spreading the word.